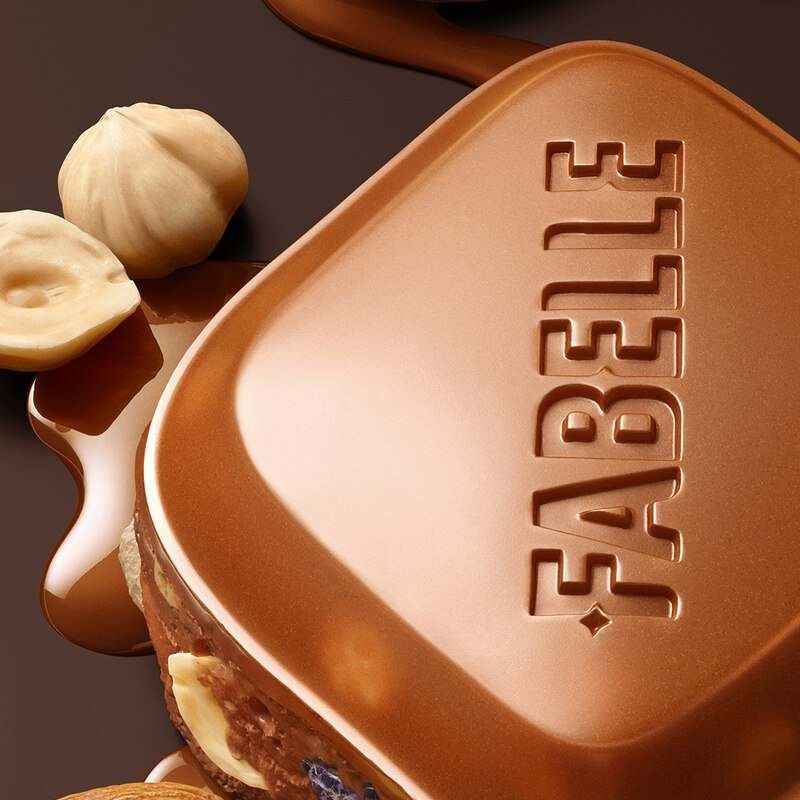 We were approached by Dentsu Bangalore to work on the launch of a new product from premium chocolate brand, Fabelle. The product is called Rocky Road and is a delectable mix of nuts, fruits and crispies with their smooth milk chocolate. 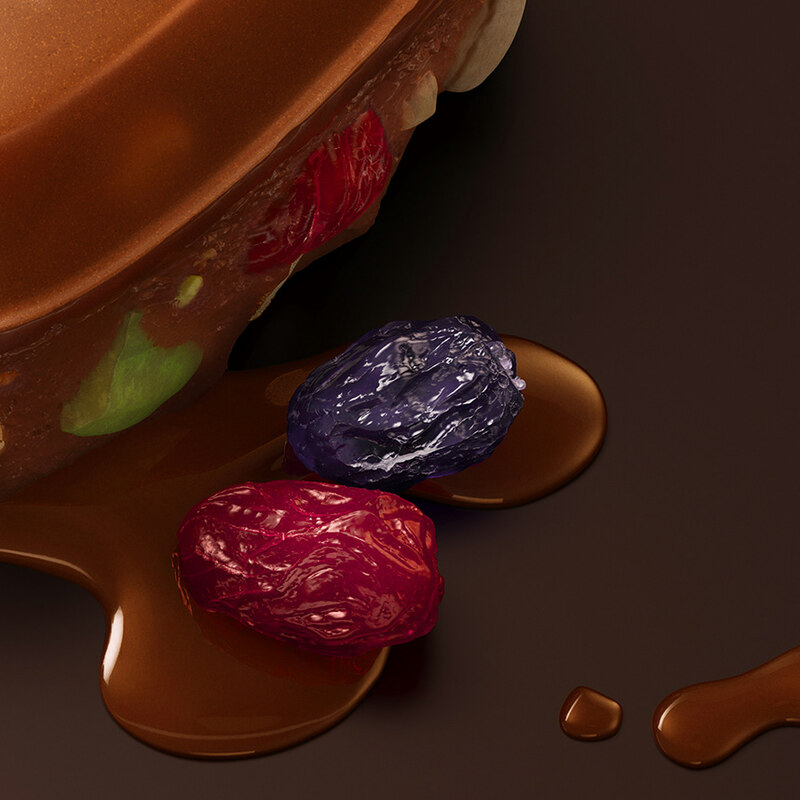 as a packaged product and also it helped us showcase our versatility with chocolate renders. their chocolate tile and showing the ingredients in a sumptuous mix. artwork was created we were tasked with creating packaging renders of the product. 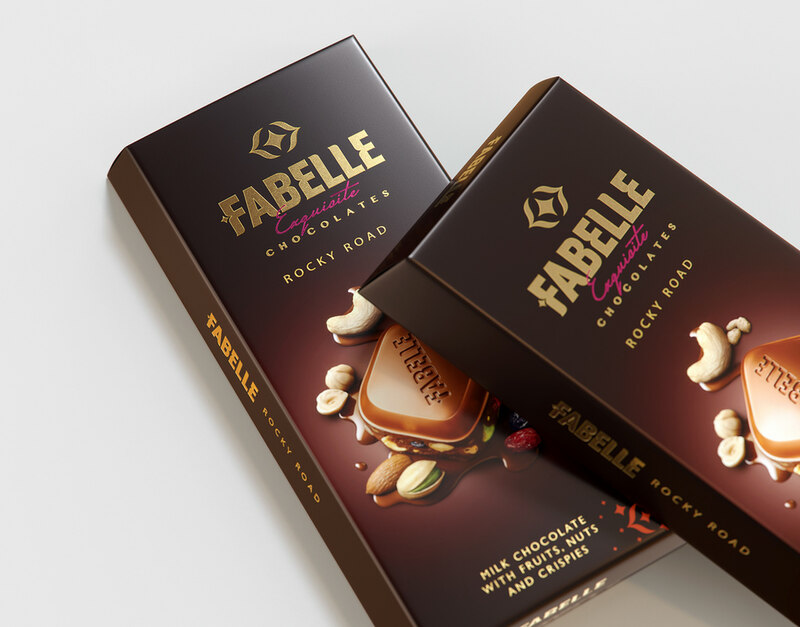 Fabelle _Rocky Road Info We were approached by Dentsu Bangalore to work on the launch of a new product from premium chocolate brand, Fabelle. The product is called Rocky Road and is a delectable mix of nuts, fruits and crispies with their smooth milk chocolate. 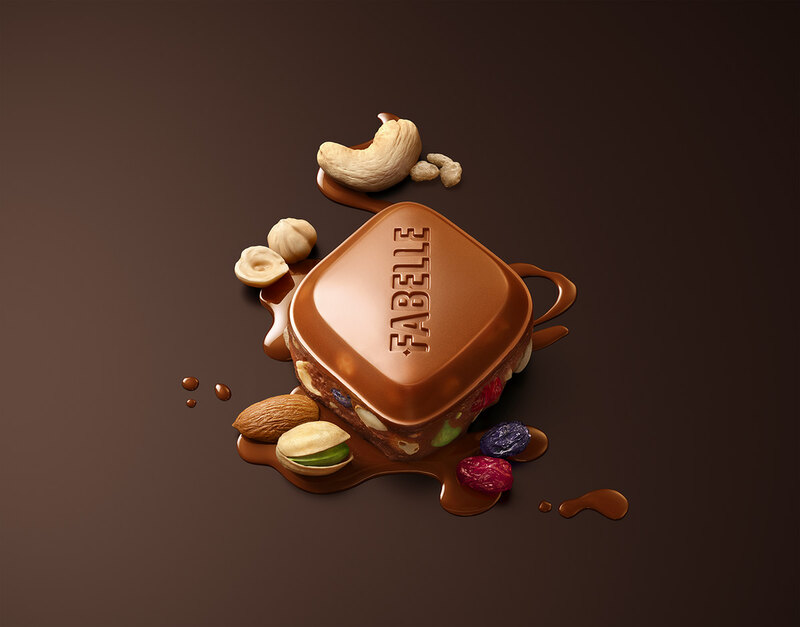 We are extremely proud to be associated with the Fabelle story of bringing premium chocolates as a packaged product and also it helped us showcase our versatility with chocolate renders. 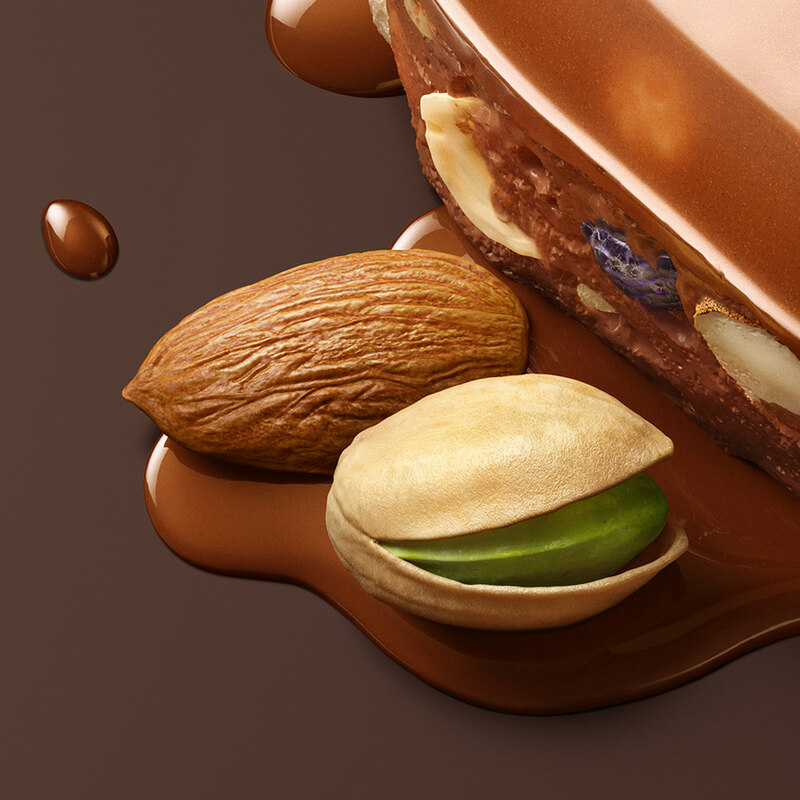 We were tasked to create the main poster for the launch which involved creating their chocolate tile and showing the ingredients in a sumptuous mix. This visual was also going to be used as their main packaging artwork. 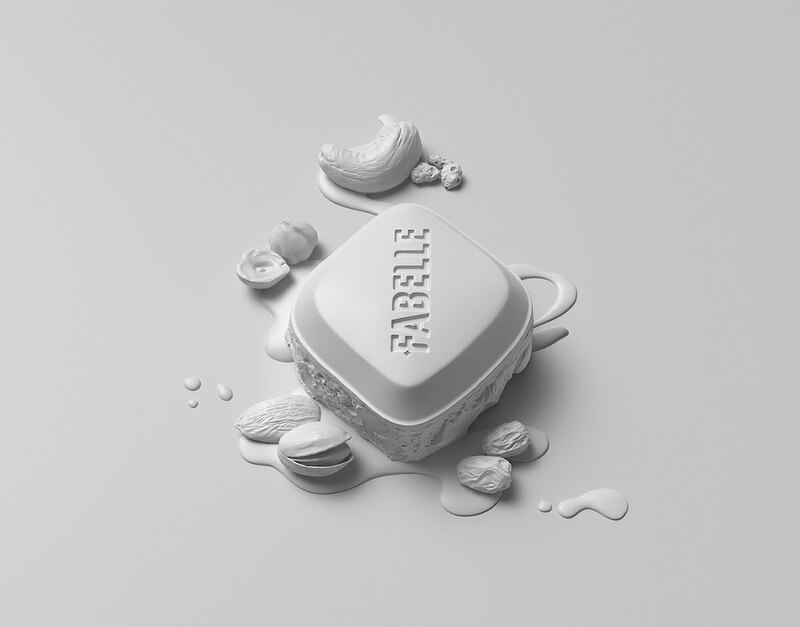 Once the packaging artwork was created we were tasked with creating packaging renders of the product.